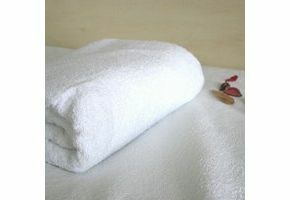 Bed Duvet Protector Made From Soft Terry Cotton. The 'Allergon' duvet protector fits over your duvet and under your usual duvet/quilt cover. The soft 100% cotton terry upper surface absorbs moisture, the breathable, undetectable waterproof layer stops this moisture from reaching your duvet, avoiding the stains caused by spills, perspiration etc. The protector provides a complete dust mite proof barrier. Fitted like a typical duvet cover with a zip along the lower edge. Machine washable and can be tumble dried if required. Excellent quality duvet cover which washes nice too.